Το Refarm, που βρίσκεται στη Καμπάρ, είναι το ιδανικό σημείο αναχώρησης για τις εκδρομές σας στη Καμπαρ. Μόνο 47.2 KM από το κέντρο της πόλης, η στρατηγική θέση του ξενοδοχείου διασφαλίζει ότι οι επισκέπτες θα έχουν γρήγορη και εύκολη πρόσβαση σε πολλά από τα τοπικά σημεία ενδιαφέροντος. Με την βολική του τοποθεσία, το ξενοδοχείο προσφέρει εύκολη πρόσβαση στους προορισμούς της πόλης που πρέπει οπωσδήποτε να δείτε. Στο Refarm, πραγματοποιείται κάθε προσπάθεια για να αισθανθούν άνετα οι επισκέπτες. Για να το πετύχει αυτό, το ξενοδοχείο προσφέρει τις καλύτερες υπηρεσίες και ανέσεις. Κατά την διαμονή σας σε αυτό το υπέροχο ξενοδοχείο, μπορείτε να απολαύσετε τα 24ωρη φύλαξη, χώρος στάθμευσης οχημάτων, οικογενειακό δωμάτιο, εγκαταστάσεις μπάρμπεκιου, εστιατόριο. Η ατμόσφαιρα του Refarm αντανακλάται σε κάθε δωμάτιο. Στην ιδιοκτησία θα βρείτε καναπές, πετσέτες, ντουλάπα, ιδιωτική πισίνα, κλιματισμός, καθώς και πολλά άλλα. Εξάλλου, το ξενοδοχείο διοργανώνει πολλά ψυχαγωγικά δρώμενα έτσι ώστε να έχετε πολλά πράγματα να κάνετε κατά τη διαμονή σας. Όποιος κι αν είναι ο σκοπός της επίσκεψης σας, το Refarm είναι μια εξαιρετική επιλογή για την διαμονή σας στη Καμπαρ. Upon our late arrival at night, they were willing to wait for us to check in and guided us to the rooms very well. It was a very unique stay unfortunately, we weren't able to spend more time to explore the farm due to our tight schedule. Above all, it was still a pleasant environment to stay. Hi Looi, thanks for your review and feedback. We are happy that we able to serve you during your stay. Do visit us again in the future yeah. Place is alright if I have more time to enjoy. Hi Florence, thanks for your feedback and respond. We will be happy to hosting your stay with us again for you to enjoy Refarm to the fullest. Look forward to hearing from you yeah. Though the location is not very near to town, but there are activities in the facility that you can do. Enjoy the pool which is clean and the green surrounding. Hi Hanna, thank you for your review. We are pleased to hosting your stay with us again in the future. Recommend for younger children family as it was fresh experience for them to catch fish n waterfall . Near kampar town if looking for more variety of food . 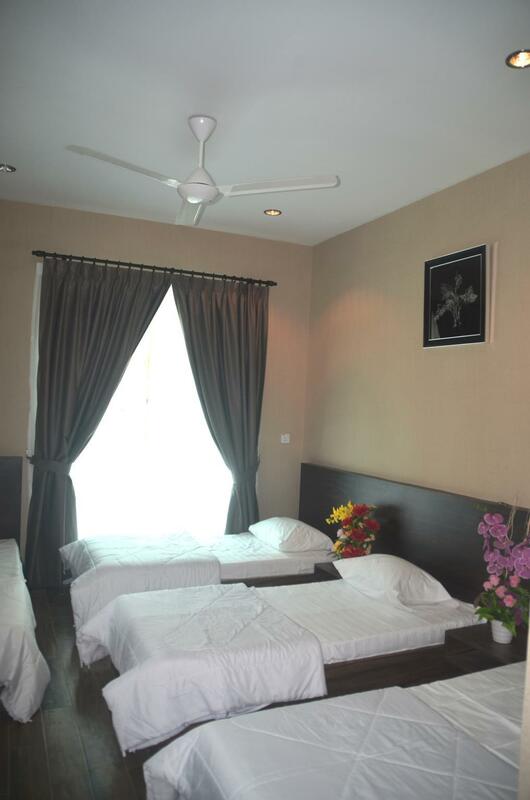 Hi Ong, thank you for you visit and reviews. We look forward to see you again in the future. There were two types of stay, farm stay and villa stay. 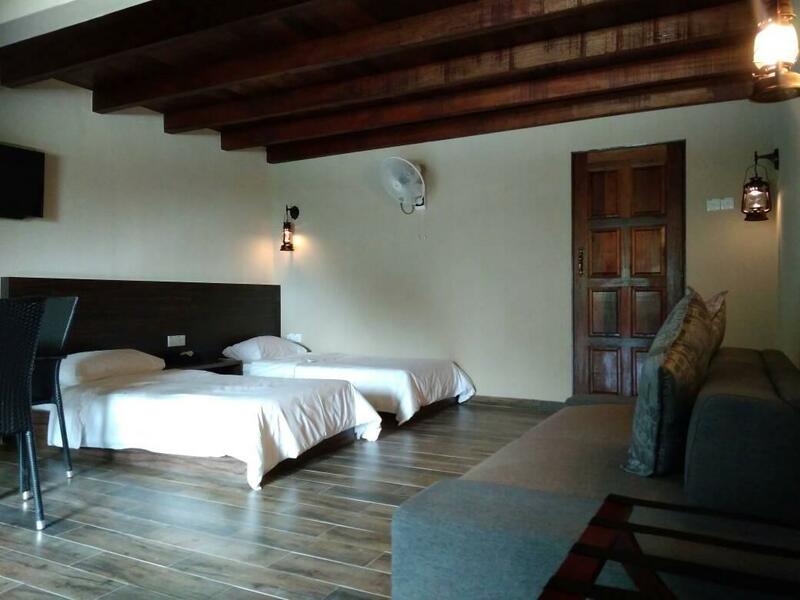 The farm stay actually is quite relaxing, but if you are going to book one room for small family, i would suggested you to give them a call before confirm your order. As my experience was we are the only family during our farm stay. It's terrible to stay in the farm just only one room occupied. 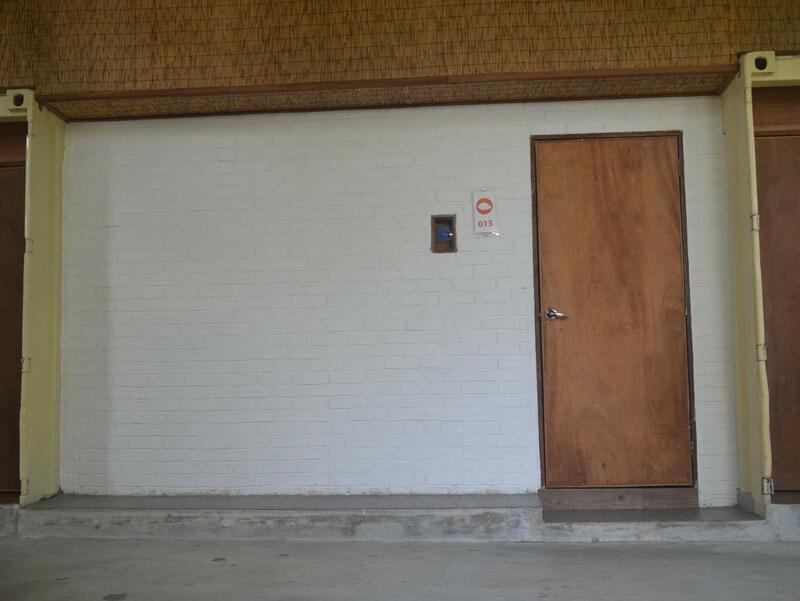 And the toilet at outside. Jungle surrounding! Luckily the 4 pax villa which located at the other side is not fully booked and we are allowed to upgrade with a small fee. 4 pax & 6 pax villa were just nearby. Hi Mooi, greetings from Refarm. Thank you for your comments and feedback. Really appreciated it. We hope you can visit us again in the future. Would be great if hot water is provided near to the pool. Hi Saidatul, thank you for your review and feedback. Really appreciated it. We so glad to hosting your stay with Refarm again in near future. Can add on more in house facilities for after 6pm such as pool table, mini library or cafeteria. Greetings Boey! Thank you so much for the amazing review and amazing suggestions. We appreciate your feed backs and good thoughts in improving Refarm Leisure Farm and Restaurant. Hope to see you again next time! 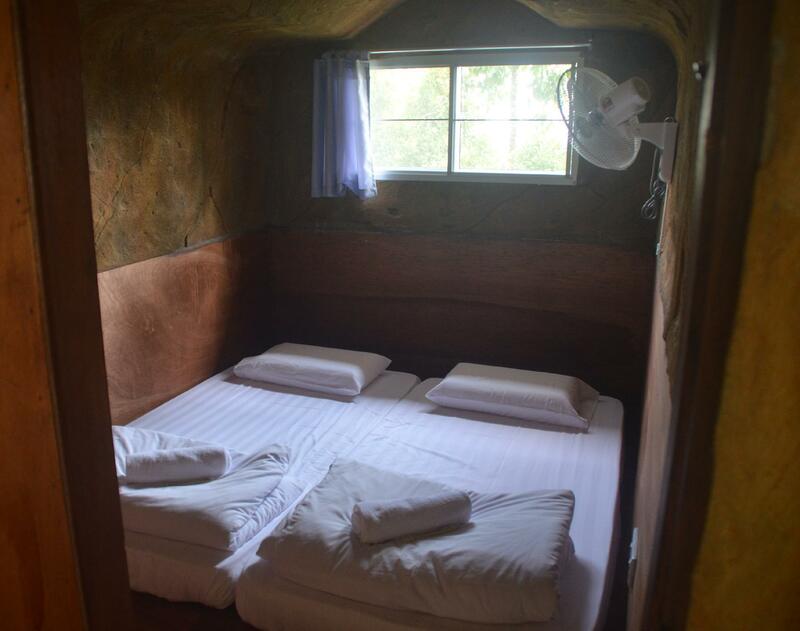 The cave room has space for 2 beds only, nothing else. 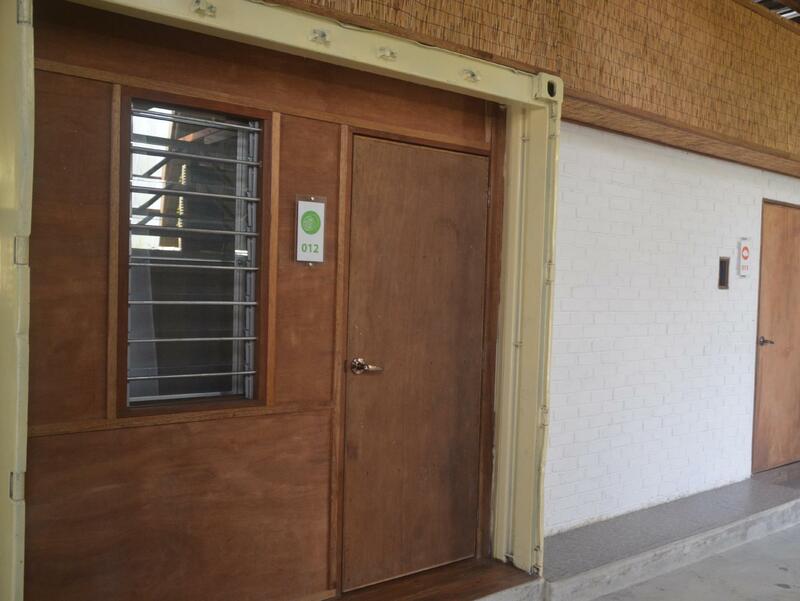 Shared toilets, bathrooms, washing basins, etc are all outside. No Wi-Fi. Maybe the other rooms are better. It' s a nice place to relax and having fun with a big group. allowed to barbecue and quite flexible place to have fun. Thank you for your accurate review. Our place very flexible in meeting guests' request and demand! Glad you're enjoying your stay here! See you again in future! 1) the location is far from the town 2) the room is over priced 3) the facility is not complete 4) the attitude of worker is not friendly 5) the guest is too noisy overall it should not worth anyone time and money to stay. It is a new place I guess. Such a beautiful place to stay, if you plan to stay with nature this is the right place. I stay at cave room, it was new experience. Got aircond and fan in the room. Please bring your own food because they dont provide. If you want to try juggle trekking please pre- book. I have missed that.. Overal, it was nice trip. this place near to gua tempurung which made me choose this place for my accommodation. This place got mini zoom, vegetables farm , pond for swim , time travel tunnel and theme park . i think you can spend half of the day here. Everything was good! Located near to town but still you could feel the fresh air. Villa with private pool is nice. Facilities was full of activities for children. Staffs was friendly and helpful too! Perfect Stay. Been to many farm stay before this but Refarm is the best. Thank you Refarm! Can include more farm related activities for farm stay and villa stay such as animal feeding, cleaning and planting. "Excellent hospitality. Room is clean. Friendly service. Most importantly, delicious food at their restaurant. Highly recommended." The room is like a cave design, very special, however, the room is small and we had to share bathroom outside which was not very convenient when having a young child. The animal feeding and fish ponds are a nice experience and Refarm even sells ostrich egg and rubber seeds! Lots of activities for kids to spend time. Catching fish, feeding animals and swimming at the waterfall. The restaurant food are good with reasonable price. Highly recommend their own organic vegetable, chicken and fish, We also booked a cabin for a nite stay. Room is comfort and clean. Suitable for a short family trip.